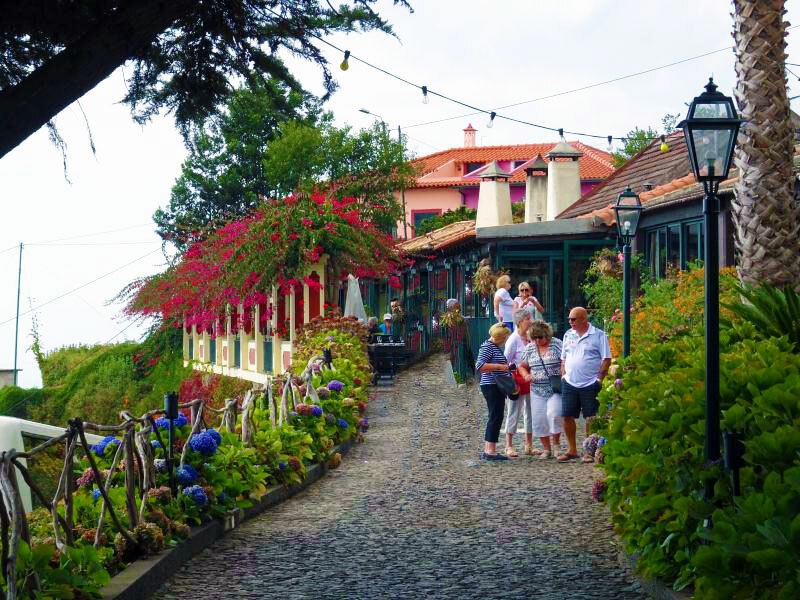 The Taste of Madeira tour left the port of Funchal at 9 am on a partly overcast day. 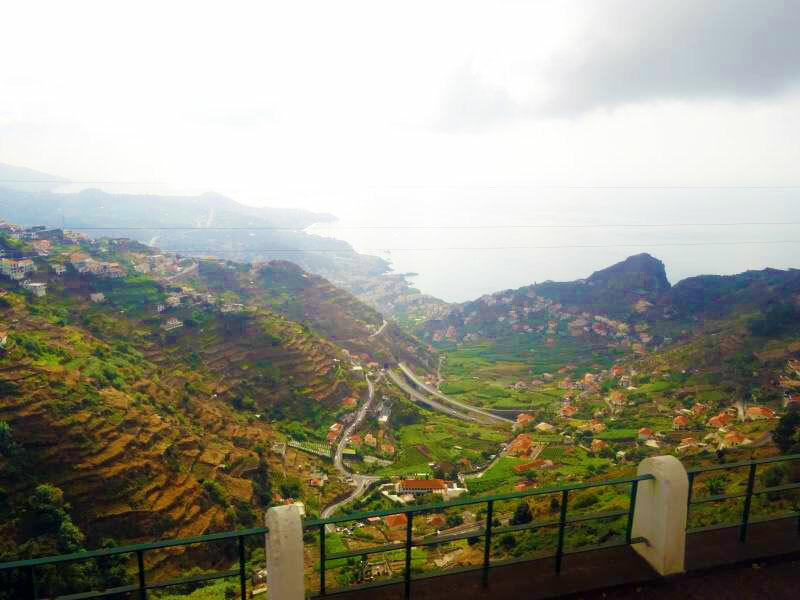 Clouds obscured the tops of the towering mountains around us. 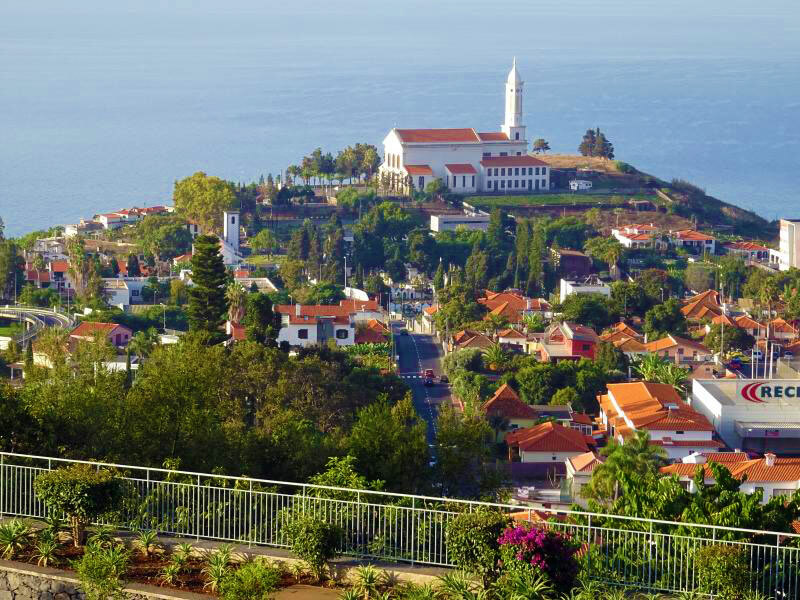 Famous for its annual televised Toboggan races Funchal was founded by the Portuguese in 1419. 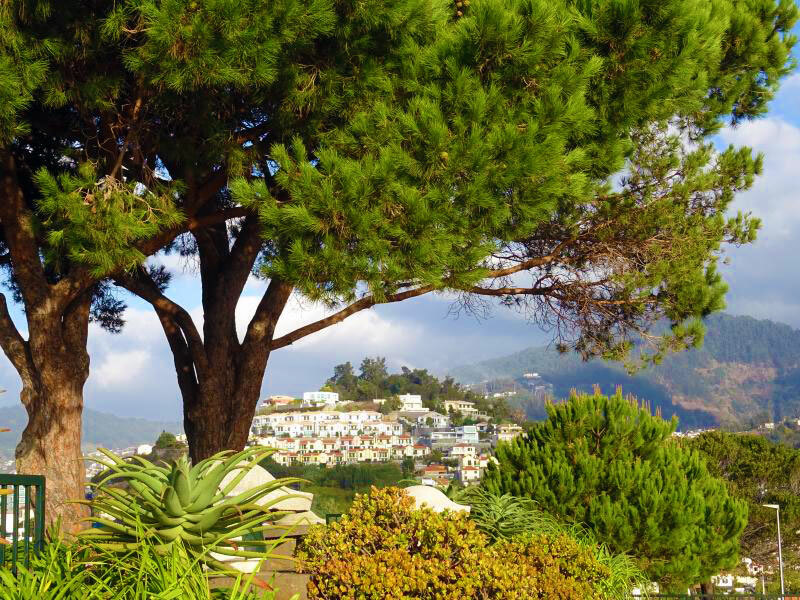 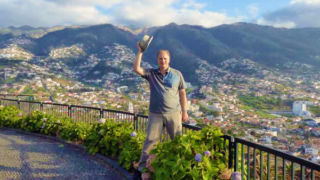 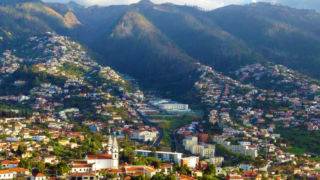 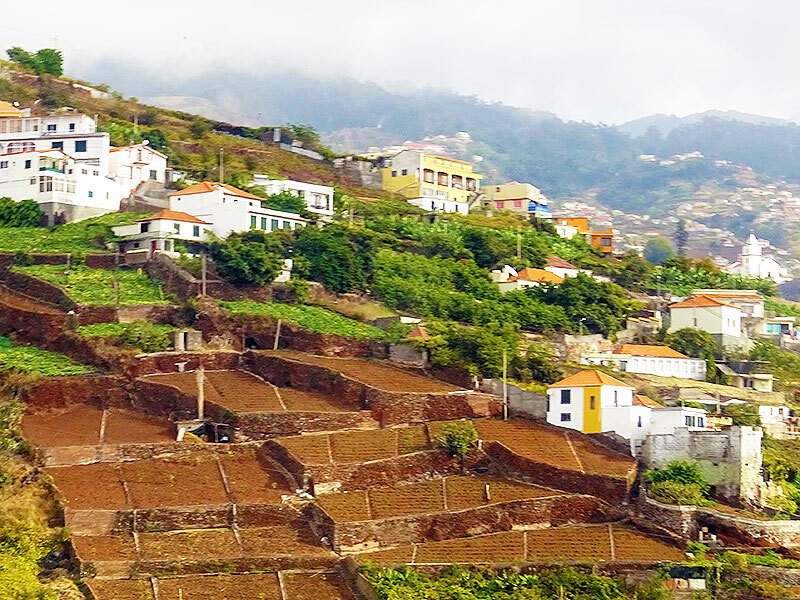 Two-thirds of the population of Funchal are farmers and there are no touristy beaches here. 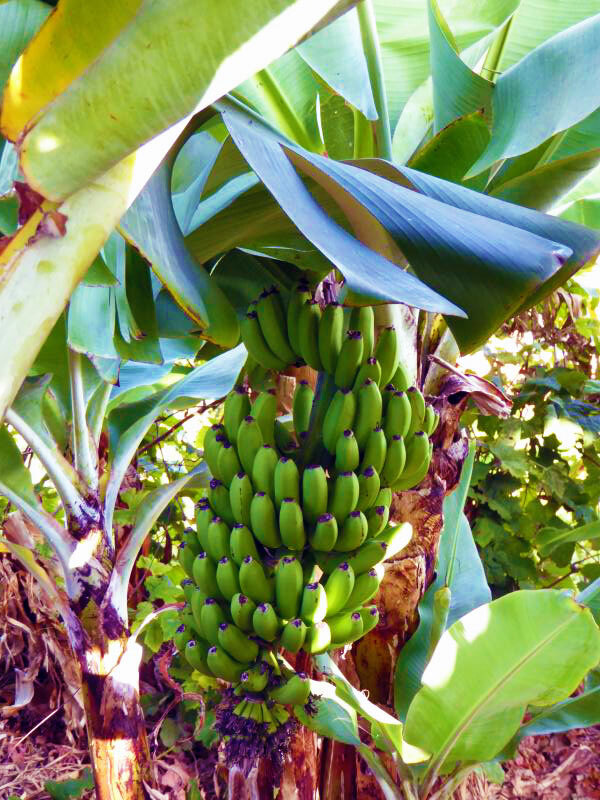 The government provides access to available water irrigation channels for all who choose to farm. 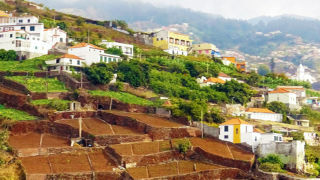 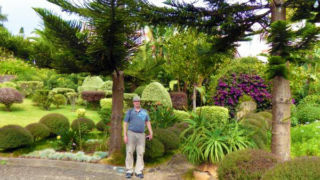 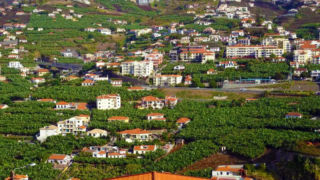 Farming is ideally important to the economy of Funchal. 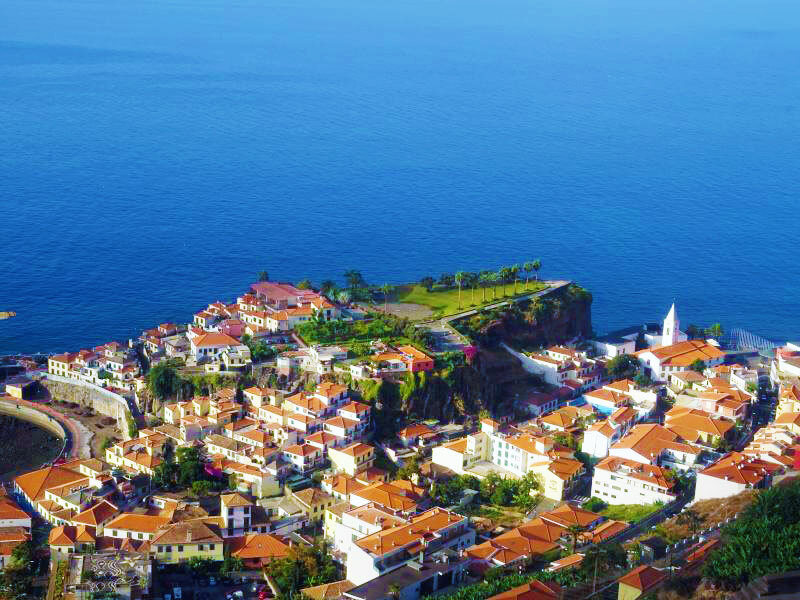 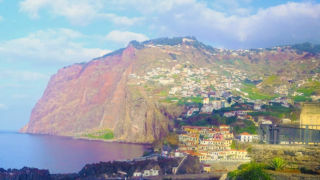 Only two of the six islands that encompass Madeira are populated. 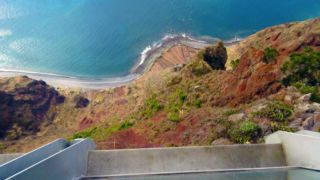 The other four are wildlife protective habitats; mainly for birds and seals. 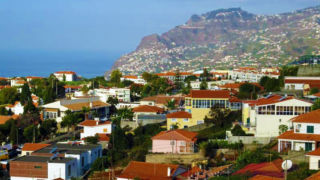 Porto Santo is the other inhabited island sporting six miles of golden pristine sand. 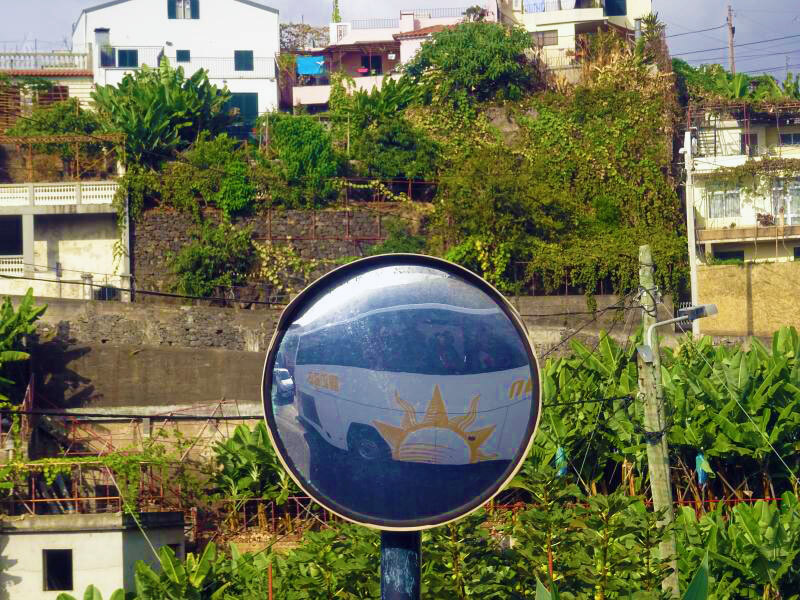 After proceeding just a short while our bus arrived at its first stop the Pico dos Barcelos viewpoint. 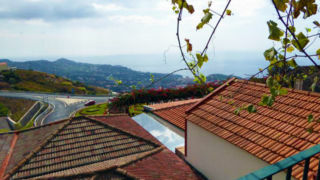 Here we observed red tile roof houses from above. 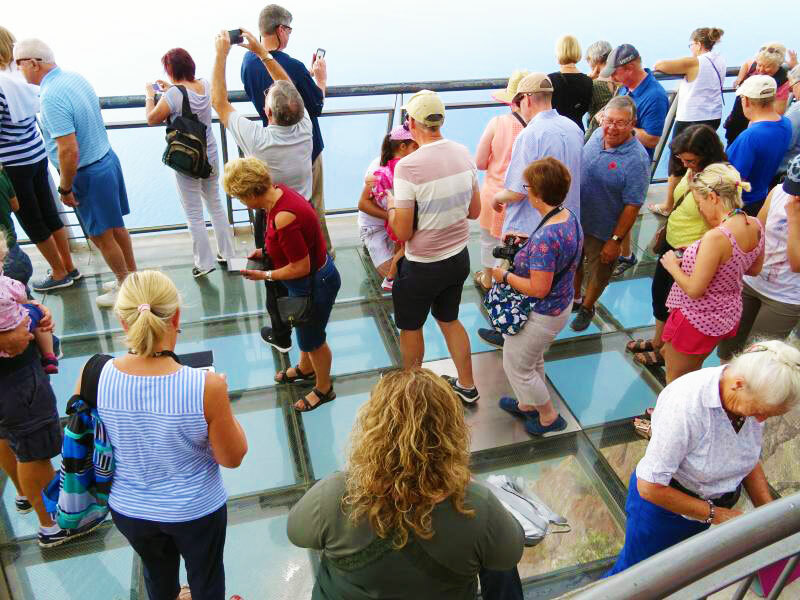 This was an impressive vantage to take in the surrounding view. 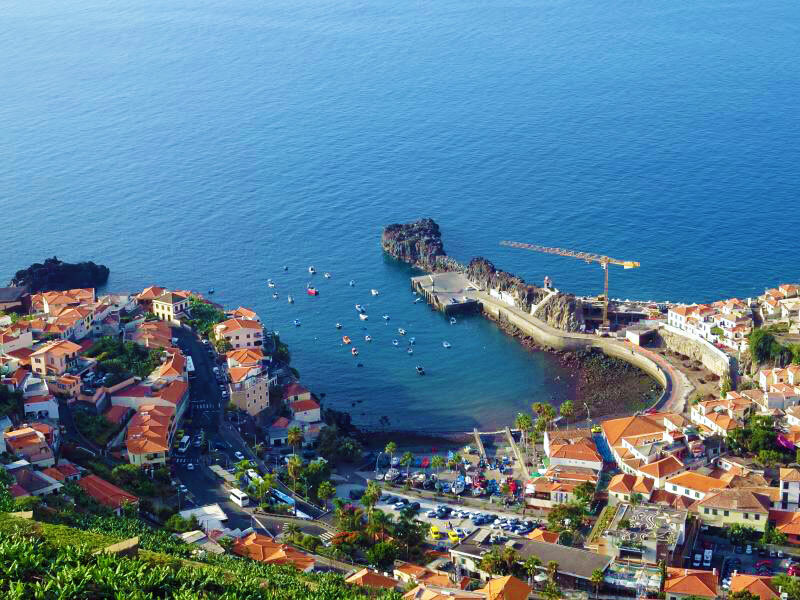 We simultaneously viewed the roofs from above and the dramatic sea below. 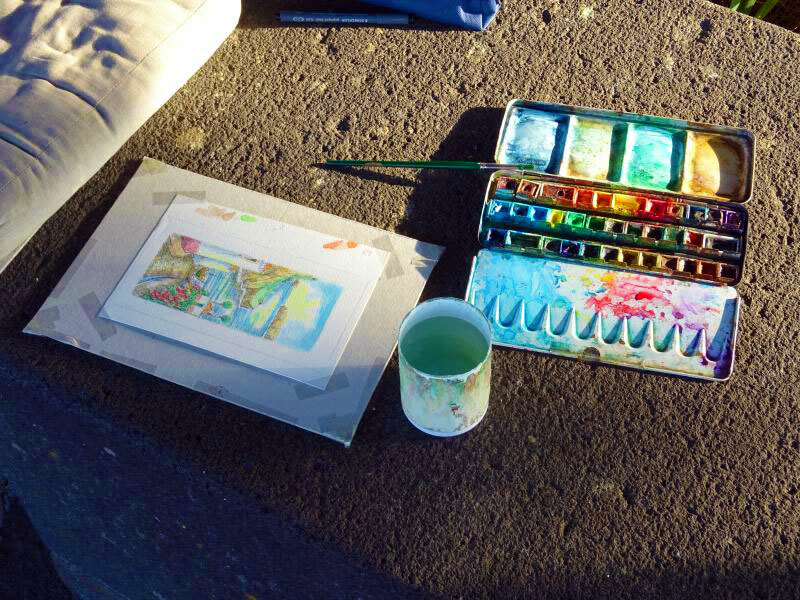 Klaus Achim, a local painter of watercolors, was displaying his impressions this day at 30 Euro per print. 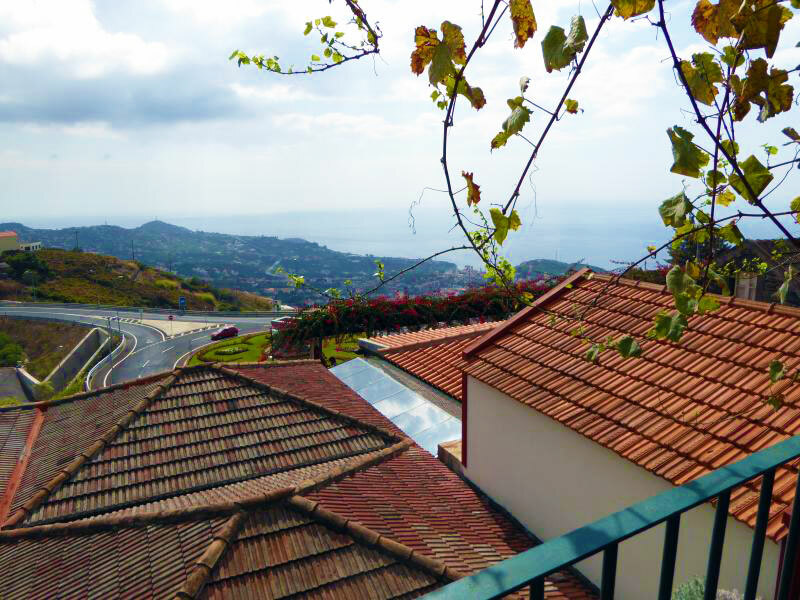 The red tile roofs of Funchal. 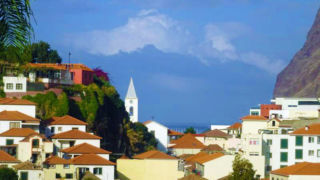 View of St. Martins church from Pico dos Barcelos. 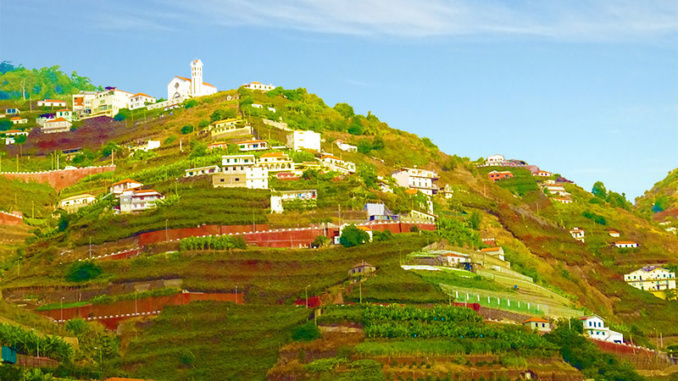 At the overlook of Pico dos Barcelos. 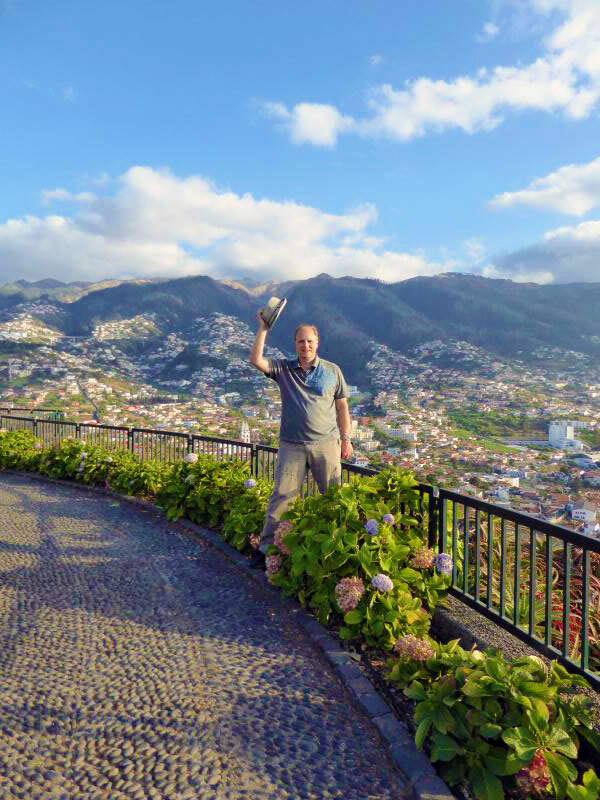 A look at Funchal from the overlook. 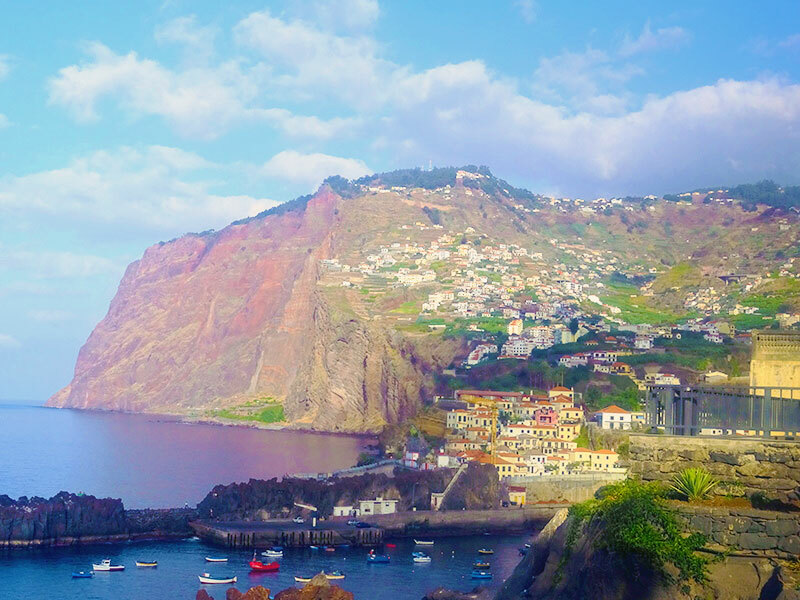 After an allotted amount of time we returned to the bus and proceeded via the old road to the fishing village of Camara de Lobos. 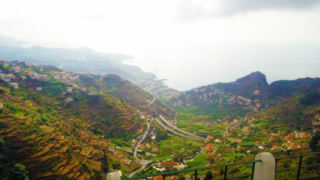 This proved a particularly windy and scenic route. 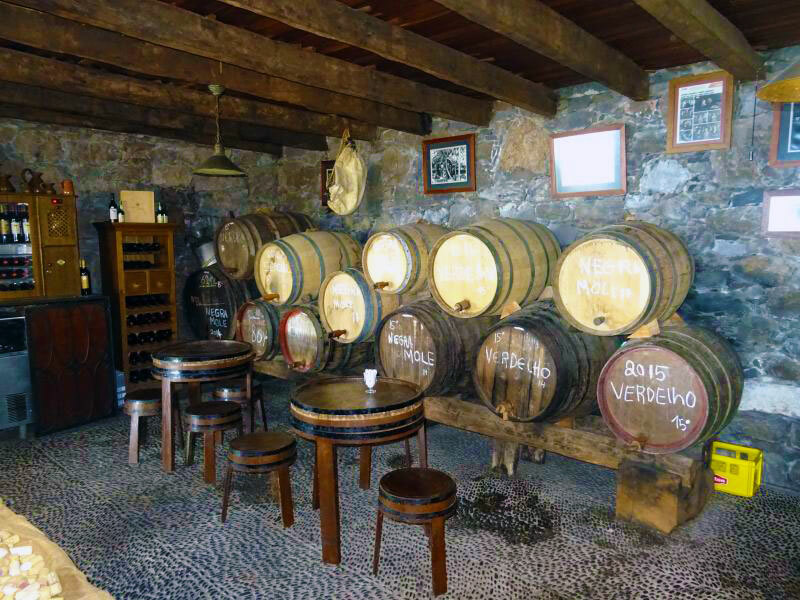 As we were entering the village we were told that it had been made notorious by Winston Churchill who painted three prominent paintings here in the 1950’s. 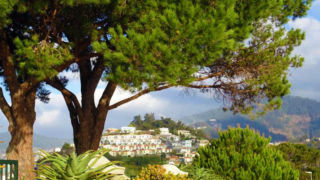 We ascended to the viewpoint high above the village and were given 20 minutes time for observation. 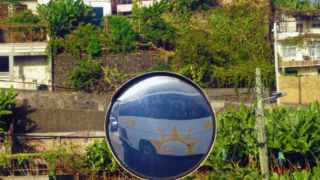 From the left side of the bus I was able to take some photos that could not be recreated at the lookout point. 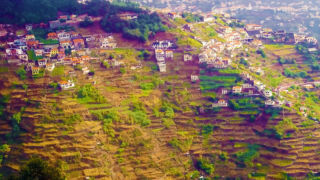 The lookout point however, provided an intimate look at some of the best known terraced walls in the world. 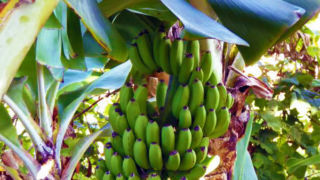 Next to this lay a vast banana plantation. 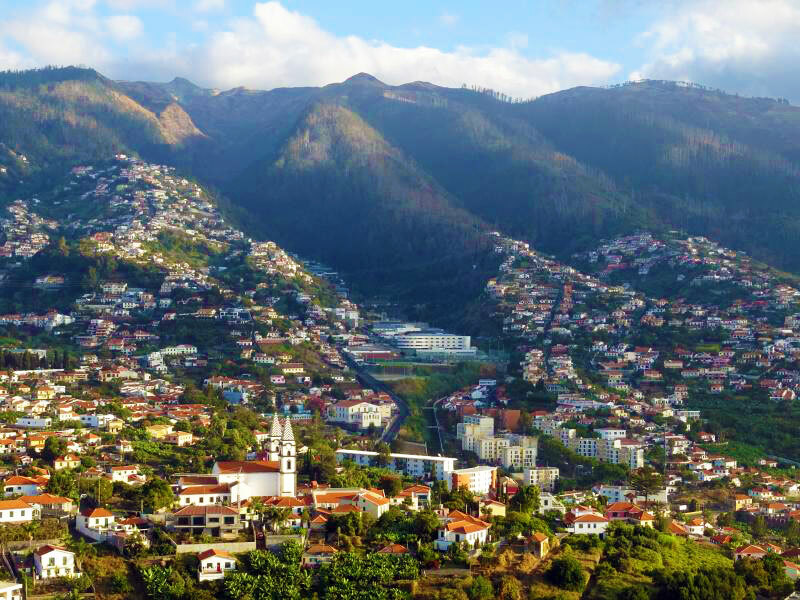 Driving through the back roads of Funchal. 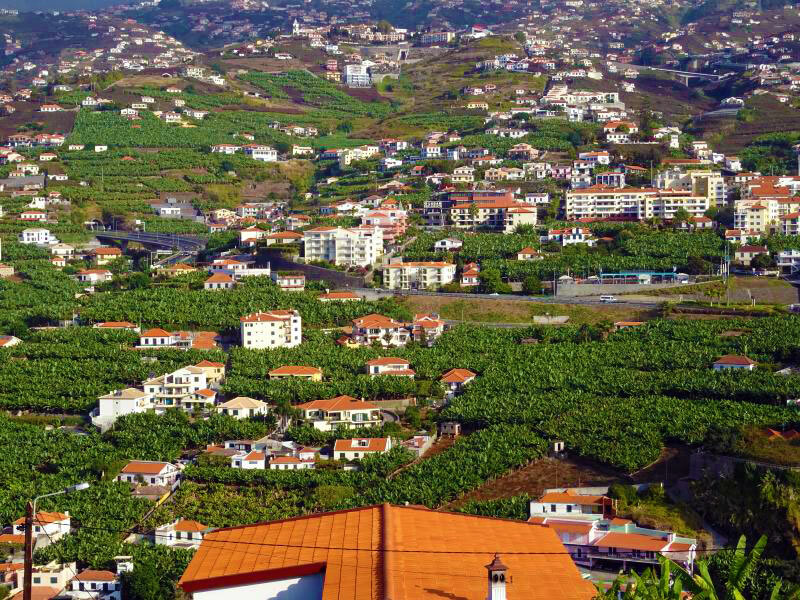 The banana fields of Funchal. 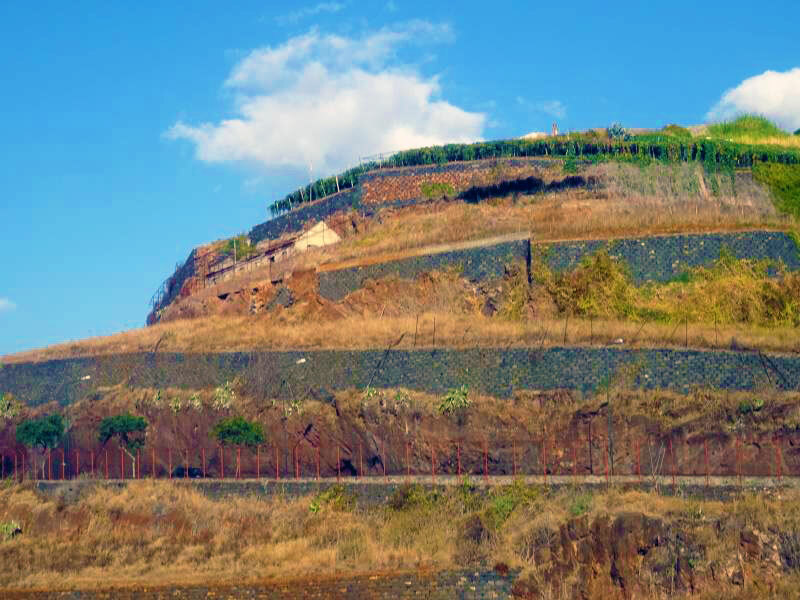 Terraced fields being prepped for planting. 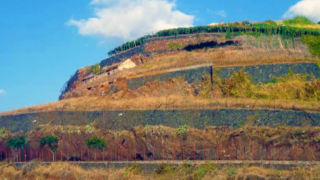 Terraced walls built with stone and no mortar. 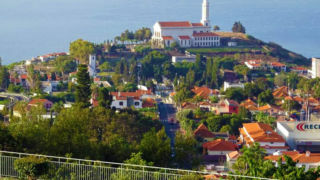 A view of the red roof buildings while driving through Funchal. 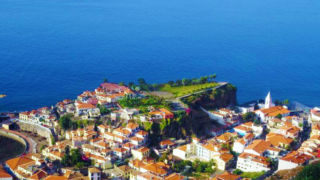 Overlook of residential area around the the Bay of Camara de Lobos. 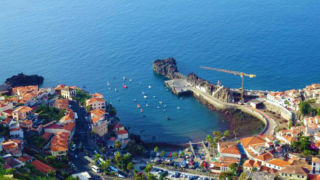 The Bay of Camara de Lobos. 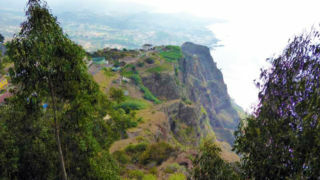 A view of the harbor and steep rock face of the Cabo Girao Cliffs. 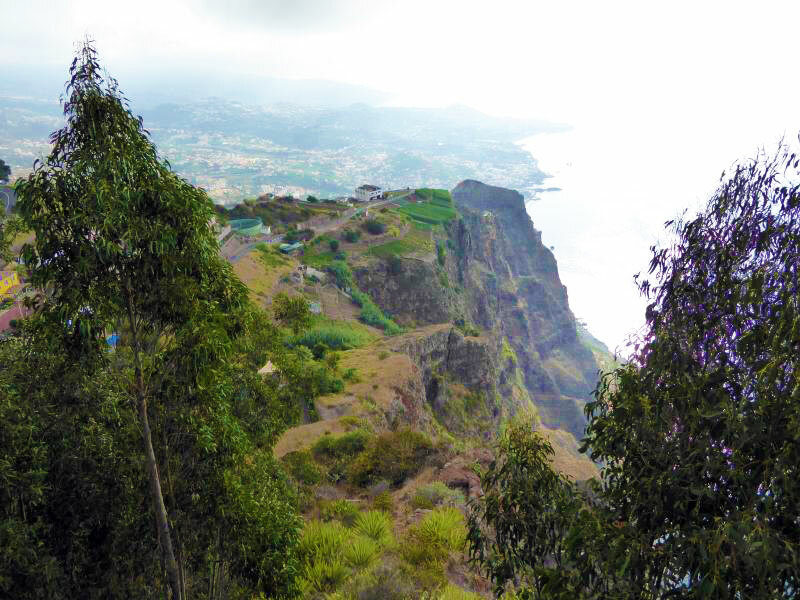 Our final lookout point was Carama de Lobos (Cabo Girao Cliffs and Skywalk Madeira) where we had 30 minutes to discover a stunning overlook of the town that included a glass floor looking 1,800 feet below to the shore. 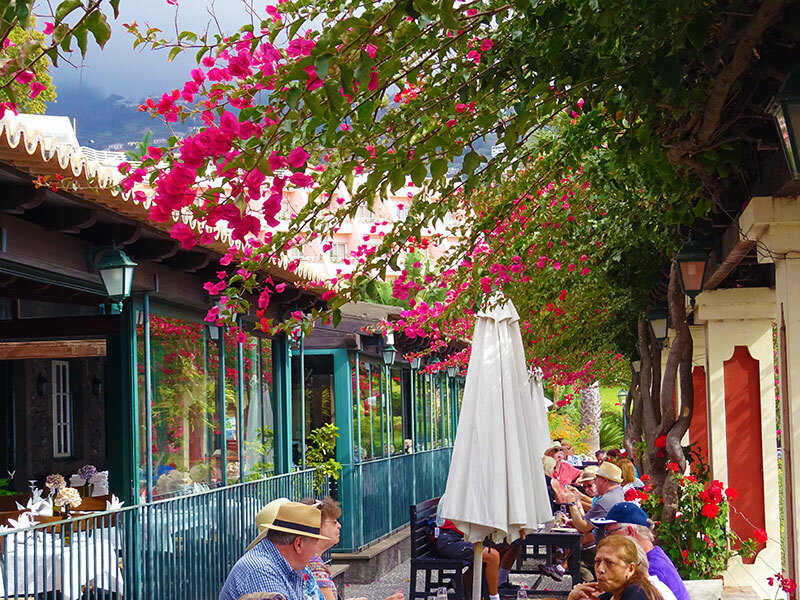 There were several food and craft shops here as well as restroom facilities. 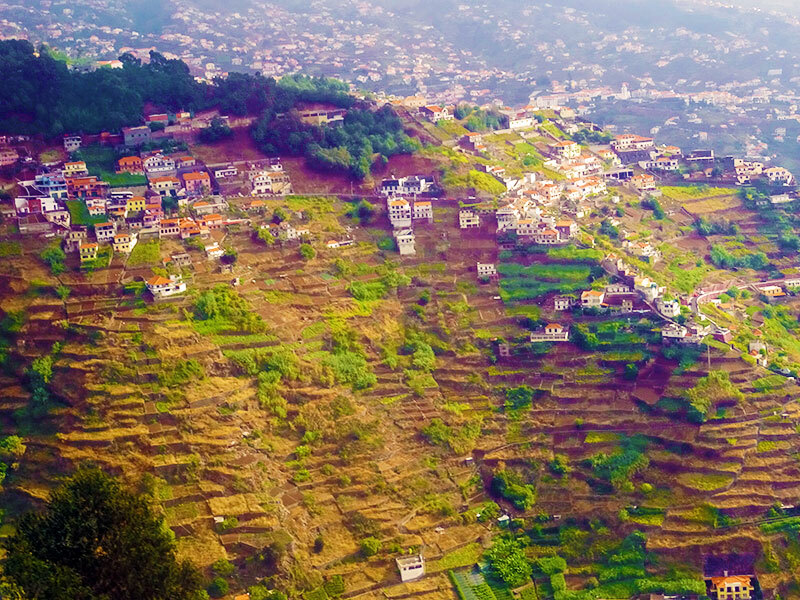 The terraced fields of Funchal. 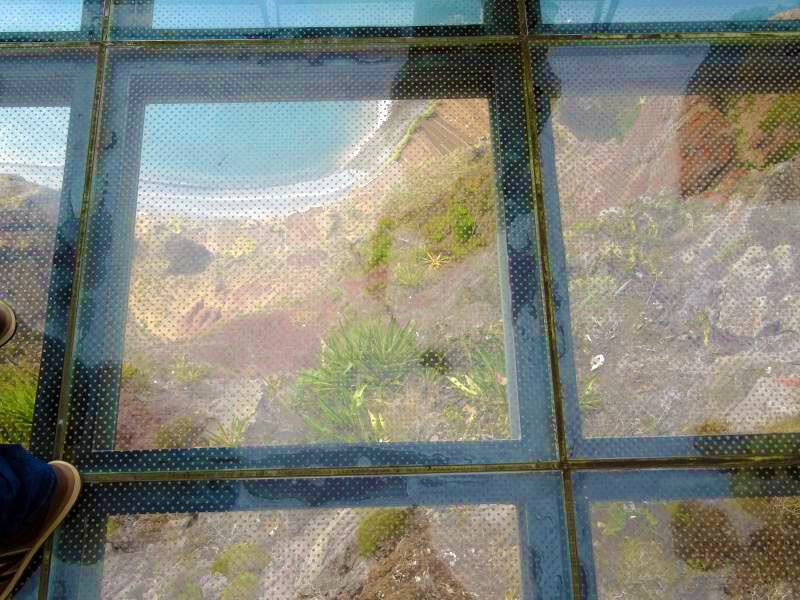 Looking down from the Skywalk Madeira. 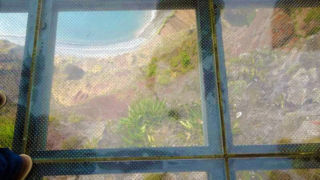 Looking down the Cabo Girao Cliffs for the Skywalk. 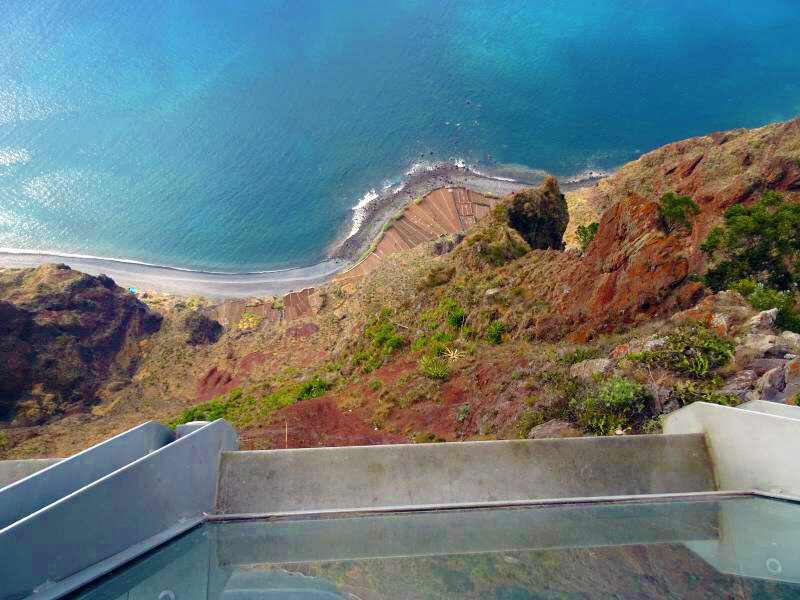 The Skywalk Madeira built on the highest cliff in Europe, Cabo Girao. 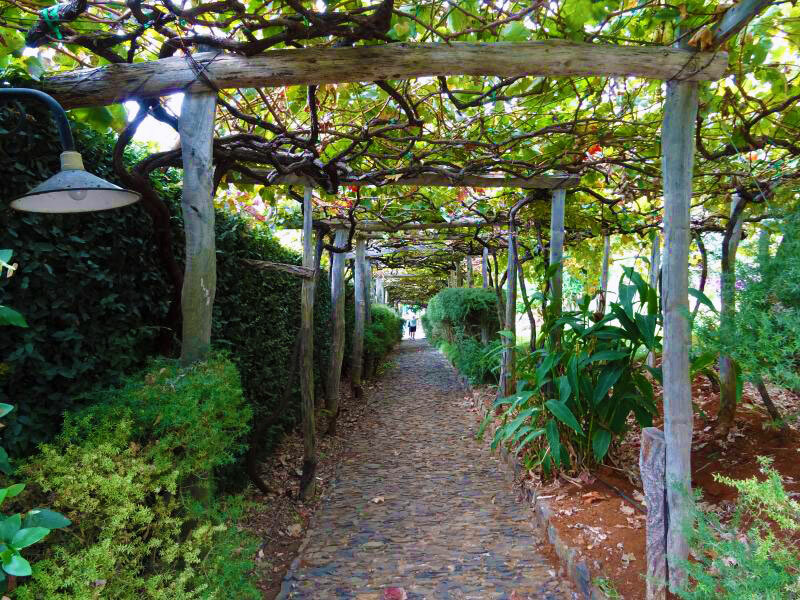 Next, we headed to Adega da Quinta Restaurant at Quinta do Estreito Vintage House the charming inn on the South Coast for a wine tasting. 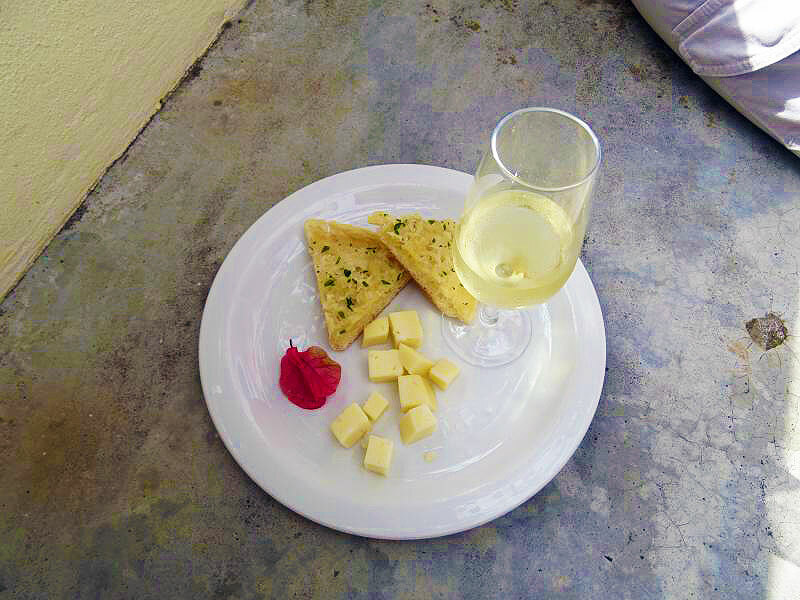 Here we sampled cheese, garlic bread and either a red or white wine. 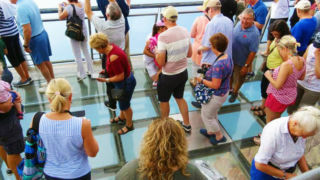 Additional glasses cost 2 Euro and were readily available. 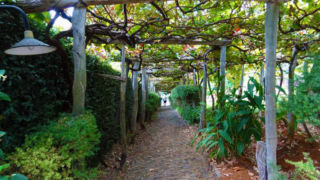 The grounds of the inn consisted of a small walled Outdoor Garden. 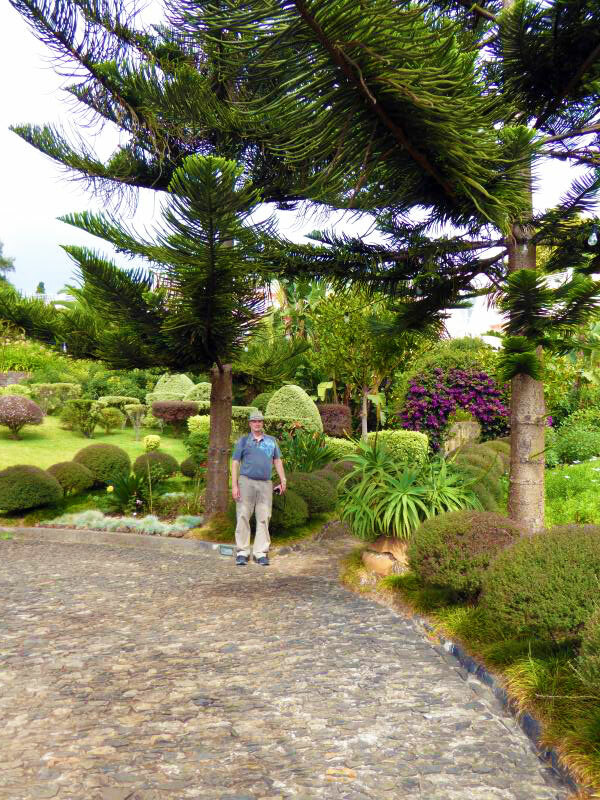 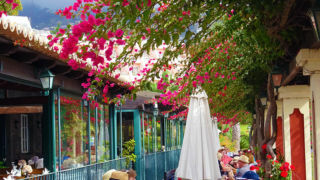 The gardens of the restaurant. 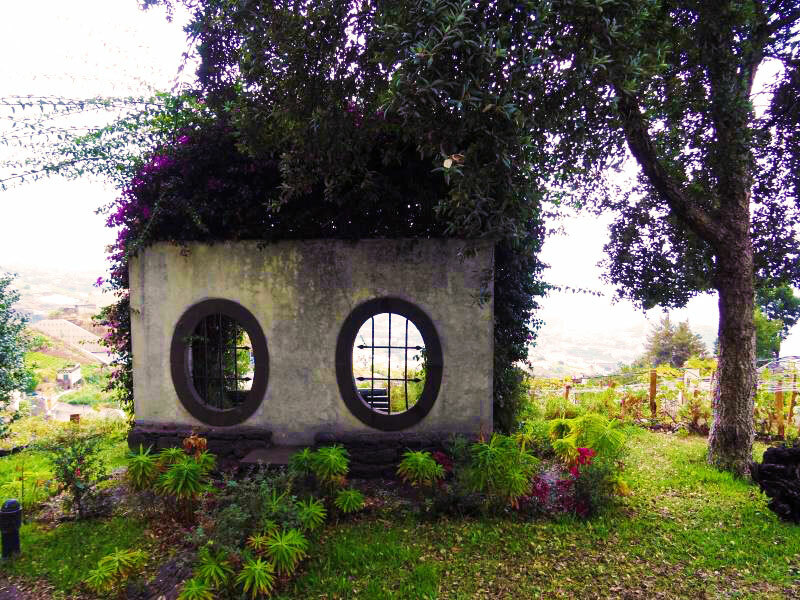 Grape vinse on the winery's property. 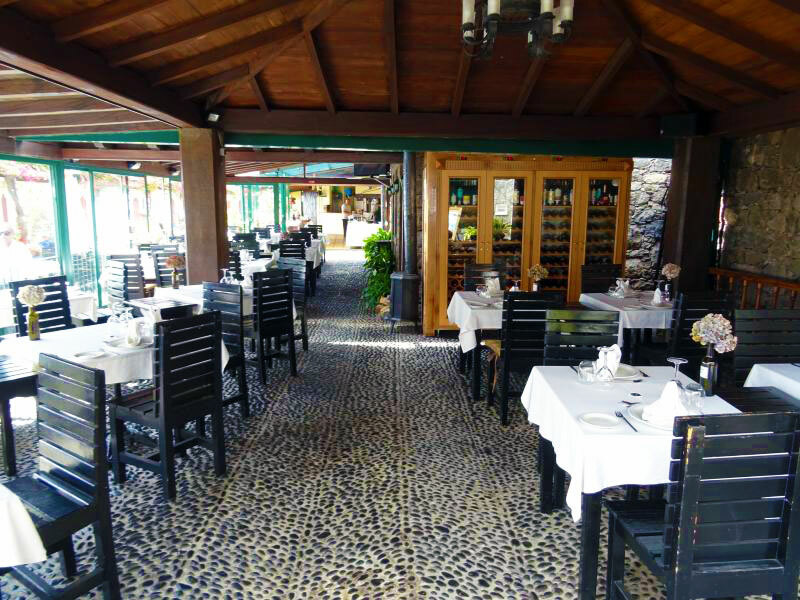 Inside Adega da Quinta Restaurant. 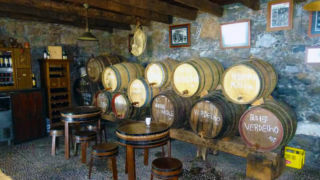 The wine cellar and specialty shop. 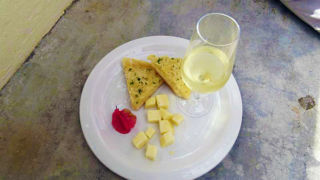 The wine, cheese, and garlic toast for our wine tasting. 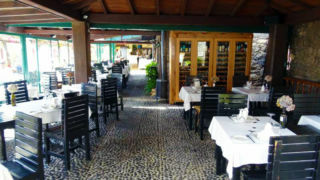 The outside eating area of Adega da Quinta Restaurant. 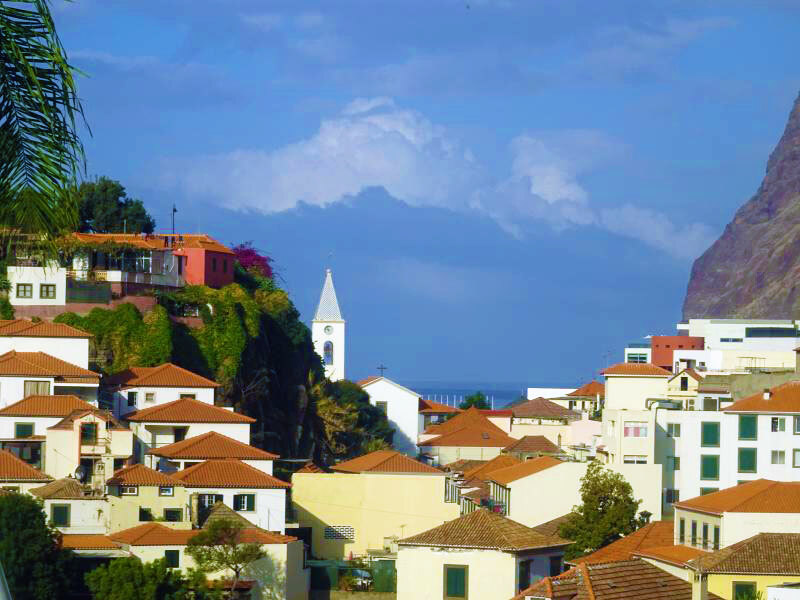 Roof top view of Saint Martin and the ocean from Adega da Quinta Restaurant. 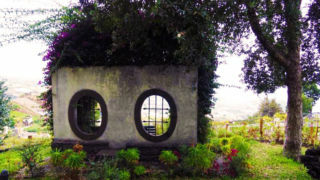 Walking around the restaurant grounds, we came across this lovely grotto overlook. 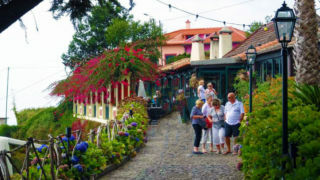 The front of Adega da Quinta Restaurant. 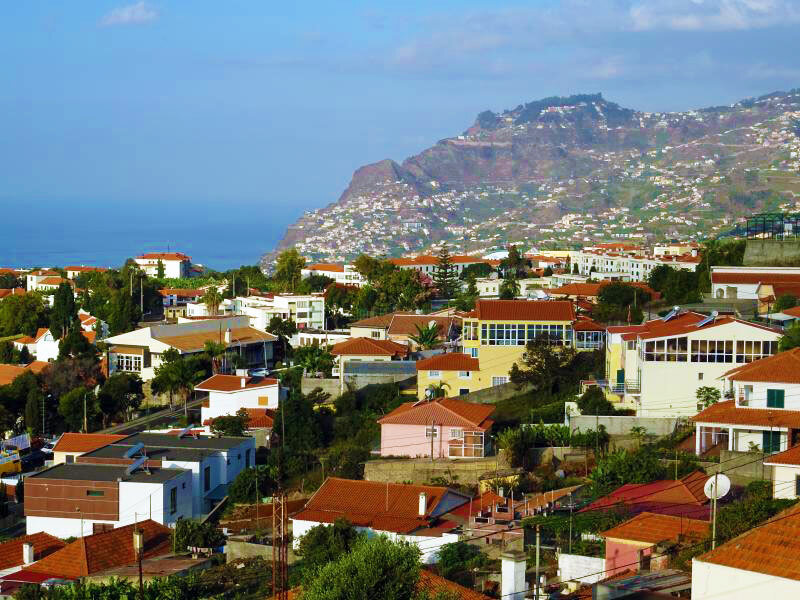 We boarded the bus at 12:20 pm in-route to the pier with a drop-off option in Madeira. 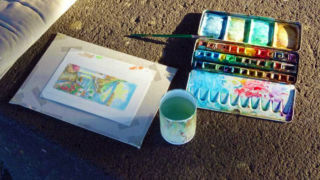 At 12:40 pm we arrived back at the pier and our ship.